Customers who refuse to pay an invoice on time are a fact of life as a small business owner. How a small business responds to having past due customers will affect future cash flows dramatically. If a small business is having a difficult time collect from past due accounts, hiring a collection Washington collection agency can help recover the money owed to the business. Most small businesses do not know how to hire a collection agency. This is common and below we have included some helpful tips to help select a quality agency to represent your company. Licensed– One main consideration is that the collection agency in licensed to collect debt in Washington. Washington requires all collection agencies that operate within the state to pay an annual fee. If a collection agency is not licensed, continue your search for one that is. Reviews and Referrals– If a collection agency has been in business for several years, they typically will have accumulated several reviews on sites such as Yelp and Google. Look for the reviews from clients they have represented and collected for. Success Rates– Collection agencies keep close tabs on what the success rate is for recovering each debt placed with them. They also can give a business an idea of how collectable the accounts they are going to place are. Communication– How quickly does the agency respond to e-mails or phone calls? While the agency is attempting to gain your business, they should always respond to any inquires quickly. If the communication is not great at day one, what should you expect a year later? Find a collection agency in that values your business. What should a business expect a collection agency to charge? Collection agencies typically will not charge anything at the start of the collection process. 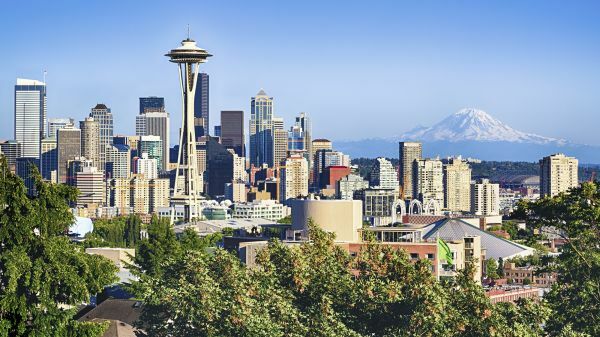 A collection agency in Washington State will typically take on new clients for no fee and work on what is referred to as a contingency rate. A contingency rate means the collection agency only gets paid if they successfully collect the payment. Debt collection in Washington State can be challenging, so investing more money into chasing past due customers is never a good idea. Let’s look at how contingency rate collections work below. A HVAC company based in Seattle has 5 customers past due for a total of $8,000. The HVAC Company contacts several Seattle collection agencies and decides to hire one at a 25% contingency rate. The collection agency answers all questions about the debt collection process and is known for being a great collection agency for HVAC companies. After a month, the collection agency in Seattle collected a total of $5,000. The agency sends the HVAC Company a check for $3,750. The Seattle collection agency keeps the remaining $1,250. Both companies are thrilled and the HVAC Company now has a plan going forward on how to handle past due accounts. They are tons of great collection agencies that collect on a national scale. Hiring a Washington State collection agency can give you a leg up on competitors for many reasons. One big advantage is they use debt collectors in Washington state that are familiar with the current economic conditions. Furthermore, they speak with the same regional speech that puts the debtors at ease. A small business in Spokane wants to hire a collection agency in Spokane WA so they can easily network and meet with the debt collection agency. This can help a new business feel more comfortable with partnering with an agency compared to one located on the other side of the country. Hopefully the Spokane collection agencies will have similar resources such as skip tracing tools and effective payment demand letters. If so they could provide better results than hiring a debt collection agency in Seattle or another larger city. Finding a collection agency may seem difficult but CollectionAgencyMatch can assist you matching you with a local agency.